These super-easy pancakes use my beloved Juice Plus+ Complete, so are a “complete” powerhouse of nutrients and such a great start to the day. We love both the chocolate and vanilla versions and also love seeing all the variations on toppings from within our Juicy community. If you make them at home, be sure to tag #thejuicylifeprogram so we can see the deliciousness you’ve created. Place a small frying-pan over medium heat and add the coconut oil once warm. Add the desired amount of pancake mixture (if you’re making spikelets or pancakes). Flip once the top starts to bubble. Both sides should be lightly golden when ready. Serve with your preferred toppings and relish in just how healthy and delicious this is! Juice Plus+ Complete is a premium quality vegan protein and superfood powder. 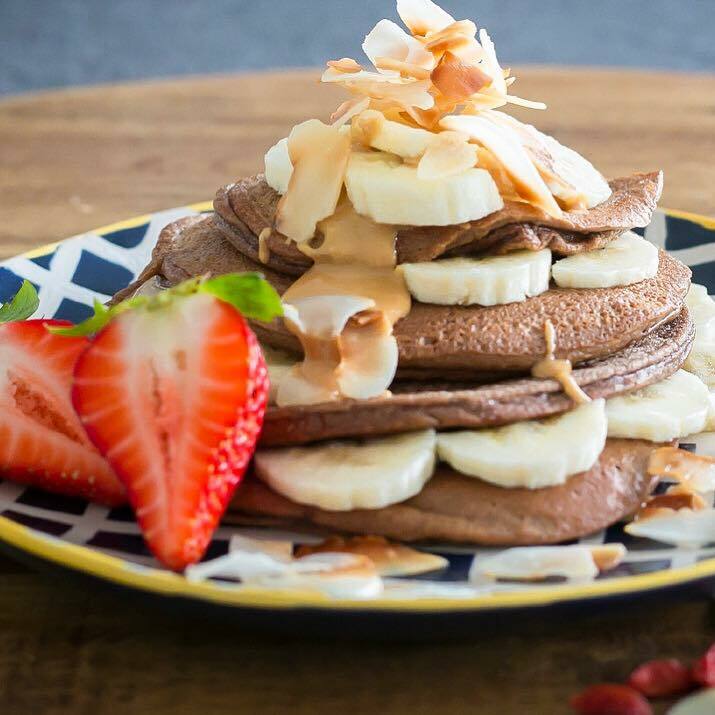 It is great for the gut, packed with macronutrients and delicious in smoothies, desserts, recipes like these pancakes here and also just as a shake when you feel like a pick me up, after exercise or when otherwise you would miss a meal (busy morning dash, anyone!?). Read more about why I choose Juice Plus+ Complete in My Nutritional Philosophy and more on the product and how to order here.